I am an enthusiastic, boat captain and sailing instructor with over1000 sea days above the water and over 300 dives below the water. 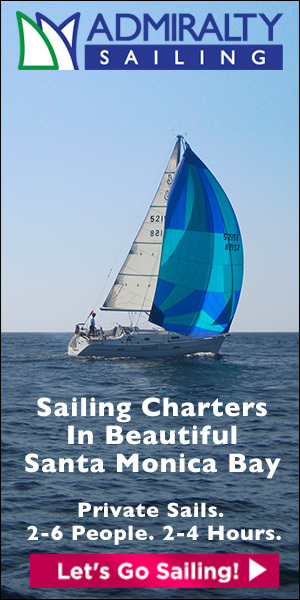 I currently provide excellent sailing instruction and sailing charters in Santa Monica Bay. Provide skippered charters to guests to provide an outstanding sailing experience on Santa Monica Bay. Skippered boats that have been bareboat chartered for Marina Del Rey brokers for guests to provide an outstanding sailing experience on Santa Monica Bay. Taught PADI Open Water and Advanced Open Water Courses as well as scuba refresher and private instruction. 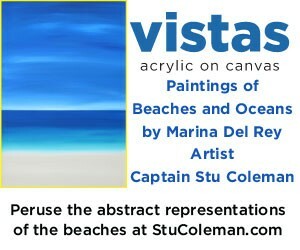 Served as mate on Dive boat and as scuba instructor, gave personalized service to resort customers in creating outstanding dive experiences. Taught PADI Discover Scuba Diving and Open Water Courses. As dive boat captain, responsible for up to 32 passengers and crew for Cruise Ship excursions and Marriot resort diver’s experience in St. Thomas, USVI. As Scuba Instructor, responsible for outfitting resort/excursion divers and conducting guided tours for certified divers and teaching DSDs (PADI Discover Suba Diving). As owner/skipper, over 600 days of racing and cruising with over 10,000 sea miles, including four 125 mile Newport to Ensenada Races. Recruited and trained crew and performed all maintenance. 12-week contract as Mate/Purser/Master Gunner sailing Puget Sound and the Pacific Northwest on education sails, cannon battle sails, and family adventure sails. Responsible for ship’s budget and all cash accounting, crew training, sail handling, watch leading, navigation and ship’s maintenance. 60 days as skipper of 2-person racing dinghy. Performed all maintenance and repairs. Deckhand/Chanteyman/Educator: 15 days as volunteer crew on 200-ton tall ship setting and furling square sails, teaching school children the life of an 18th century sailor, and ship’s maintenance including sail mending, brass polishing and tarring the rigging. Foredeck Racing Crew: 90 days as foredeck/mast man including 2 Newport to Ensenada Yacht Races and return deliveries.